Underwritten by Portsmouth Regional Hospital’s Dover Emergency Room Campus, Encore for Education raised more than $31,000 for innovative curriculum, tools, and professional development offerings in Dover public schools. We appreciate all the business and community support that made our event a success! 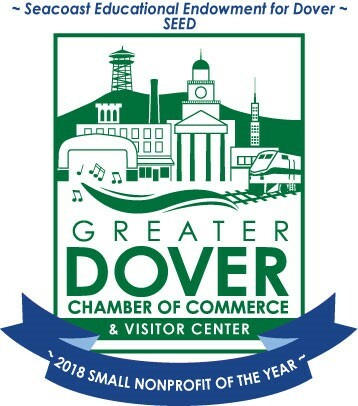 Funded strictly by community giving, Seacoast Educational Endowment for Dover (SEED) awards grants twice annually for projects to be implemented across Dover public schools. Money to fund grants comes from philanthropic individuals, corporate giving, and our annual fundraiser held during the spring. We gladly accept direct donations at any time of the year. All proceeds will fund future grants awarded to Dover teachers to help students learn the skills needed in the 21st century. Press play to watch a short video of the impact SEED is having in our schools to enrich the learning experience for kids in Dover. May we count on you for a $500 contribution today? Your tax-deductible gift is an investment in the future of education at Dover's public schools. Thank you! Donate directly to a teacher grant or to the general fund. Ask your employer if they would match your donation to SEED. Please consider giving to SEED. To learn more about our impact, please visit our newly created results blog HERE. Your shopping makes a difference. Do your regular Amazon shopping at smile.amazon.com/ch/45-2737721 and Amazon donates to Seacoast Educational Endowment Dover.